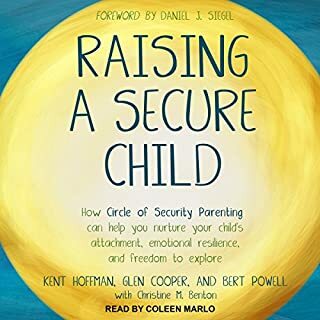 In Parenting by Heart, Pinky McKay encourages parents to trust their own instincts, and connections with their children. 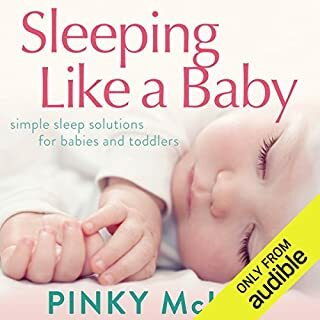 Practical advice is offered with Pinky's trademark humour and covers birth choices, breast-feeding, postnatal depression, sleep, crying, gentle discipline, and building self-esteem (yours and your child's!). Along the way Pinky gives excellent advice for dealing with unwanted inquiries from family and friends. 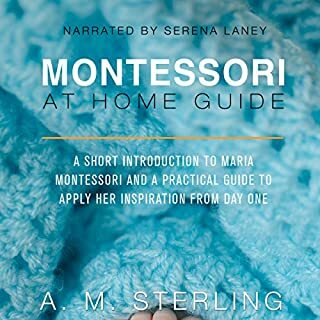 Dr. Maria Montessori (1870-1952) developed a method of education over a hundred years ago, yet her philosophy and methods remain more relevant today than ever. One thing lacking in today's society is a sound method for preparing children for the world that they live in. The main principle of the Montessori Method is that children learn to manage their own lives while experiencing the joys of the world around them in a safe and well-prepared environment. 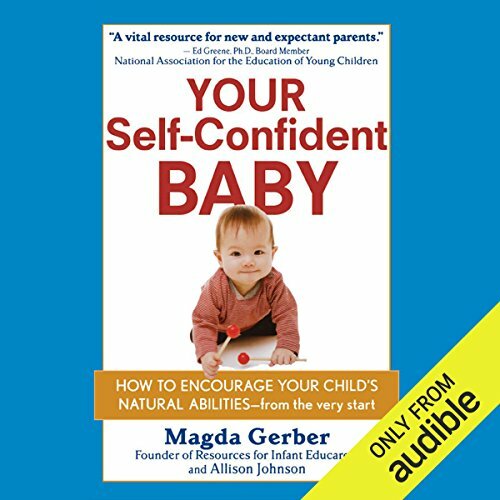 ©1998 Magda Gerber and Allison Johnson (P)2012 Audible, Inc.
What did you like best about Your Self-Confident Baby? What did you like least? As with all parenting books, this one will be a bible for some and for others will be totally worthless. I fall somewhere in the middle. 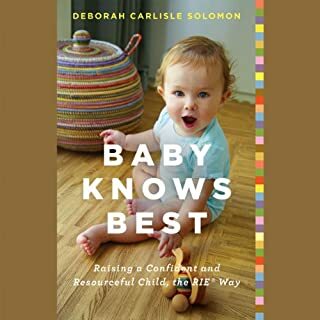 I appreciate Gerber's philosophy from a high level, that babies are competent learners and parents should be there to support their children, not dictate every minute of their lives, however I found myself becoming incensed at some of the more practical advice she gives. I would have preferred more references to scientific studies to support her theories, since I got the distinct impression that her training was more of the "on the job" variety. 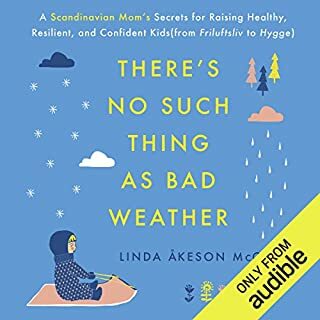 I might recommend this book to other parents, but I would caveat by saying that this is just one woman's opinion, and not to take her word as gospel. The idea that newborns, infants, and toddlers are worthy of respect and should be treated as capable individuals is one I can get behind. What I really didn't like is Gerber's implication that parents should adjust virtually all aspects of their lives in order to accommodate their children's needs. 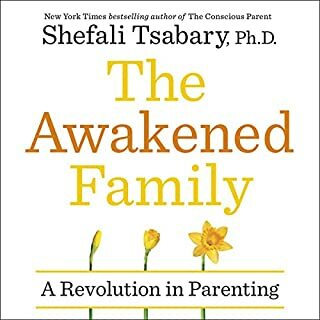 She states that parents should, whenever remotely possible, reorganize their lives so that one parent can stay home with the child, and that the first two and a half years of a child's life should be spent mainly at home. I almost stopped listening when I heard these things. Children are meant to be in the world surrounded by a variety of people, and the assertion that they will suffer by being out and about is preposterous. Was Your Self-Confident Baby worth the listening time? Probably not. I disagreed with at least half of what Gerber promotes and what I did agree with I had already incorporated into my parenting style. Dr. Sears' The Baby Book was a much better reference for me. I enjoyed this book. I think the best thing I took back was that we aren't supposed to consistently put our child on a pedestal and tell them how they can do and accomplish anything, or go on and on about how wonderful they are (in front of them anyway). It is educating them that with hard work and effort, you can achieve great things and succeed in many areas. And to remind your child when you do praise them that their accomplishment was indeed the result of hard work! Also I enjoyed hearing about interacting with your child and how to appropriately speak with and to them. Would you try another book from Magda Gerber and Allison Johnson and/or Lauri Fraser? 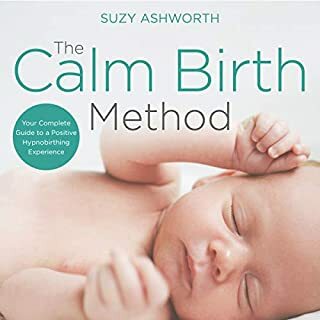 This book contains a collection of unsolicited advice that new parents constantly get bombarded with and many times try to avoid. It was written by someone who hasn't had a baby of their own in a while, and the narrator's elderly nanny type voice fits. If you want a book of opinions, this is the one for you. Or, you could just call your mother in law and save some money. That said, she did make some points I agree with, such as giving your baby respect like any other human being. Perhaps my definition of respect as far as babies go differs from hers, I do strongly agree with it. I definitely agree that you shouldn't surprise you baby by picking him/her up for example from coming up behind the baby. I let my child know before I pick him up. And I respect his body, if he doesn't want me to play with his hair, I won't. I think the author more aligns her definition of respect for babies similarly to respect for adults. Along with small trinkets of good advice are tons of irrelevant random bits, such as, don't pat your baby on the back because the author is of the opinion the baby doesn't like it. 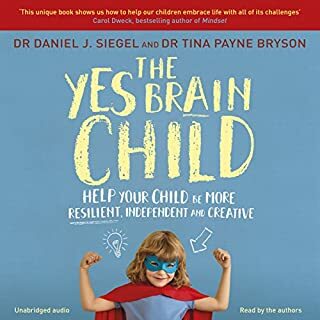 The author seems to want the parents to question their natural parenting instincts and adapt the authors outdated advice with no or little grounding. I believe babies cry sometimes because they want to be comforted and you as a parent, within reason, shouldn't feel like it's wrong to help. I believe babies need constant verbal interaction but you shouldn't feel like you're doing something wrong if you forgot to tell the baby that you are about to kiss him/her goodnight. As a really young infant, it probably doesn't matter what you say, as long as you talk to him/her regularly. One thing I really disagreed with was the advice to tell your baby you're putting the baby down so the parent can rest because the parent is tired. What if you don't rest, or you're not even tired? Did you just lie? What if you do the dishes instead? I put my baby down so my baby can rest. As a parent, it is not fair for my children if I depend on them. They need to depend on me, but not the other way around. The baby doesn't sleep because I NEED him/her to sleep. The baby sleeps because the baby needs to sleep. 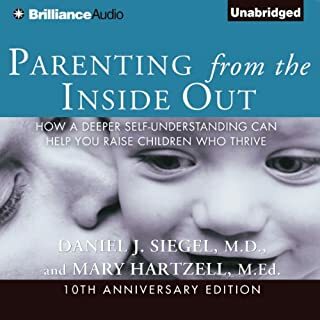 If this book is works for you and your parenting style, that's great. This book and I did not mesh well. I have read many parenting books and this is my least favorite. That said, I couldn't finish it. I got several hours in, but had to put it down as I was getting annoyed with a lot of things she said as a self-proclaimed expert. I'm sure there's more valuable advice in the book that I'll never get to because I was tired of weeding it out. 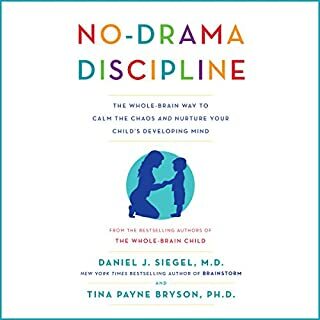 Wonderful practical guidance on teaching and disciplining for babies! I liked this book very much. It not only gives you theories but also gives you real life examples of children's behavior and how to deal with it in the best of ways. 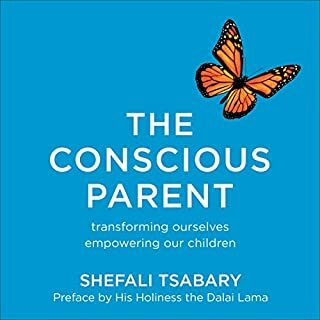 I would recommend it it to anyone looking for guidance on how to teach and discipline their kids. I regret purchasing this book. The author is not a fan of baby slings, sleeping with baby, nursing baby to sleep, patting or rocking baby. All of which are very important to me. I do not believe in leaving baby on his/her back to "learn" to self sooth. I pick up my baby when she cries. A please read for new parents! A book of reference for all new and experienced parents. Wonderful learning experience, great examples from real life. This book seems to push forward two messages much more firmly than anything else in this book and repeats it what seems several times in each chapter. It begins with such nonsensical advise that you must be given direct permission from your newborn child in order to change their nappy. If the newborn baby does not seem to enjoy you doing your job as a caregiver removing the faeces and urine which if not removed swiftly will cause rashes and sores, then you should wait a few moments and start again. If the baby persists, sit them down and explain the 3 month old you this is so important. The next thing they constantly insist is that interaction with your baby is toxic and can cause much more harm than good. Every moment of interaction with your child is robbing them of a learning experience and preventing them from learning or becoming independent. This is contradictory to all research that suggests that babies thrive off interaction and there is direct correlation between the amount of words spoken to your baby and there development. Speak with them and interact with them, and let them lead the activity. 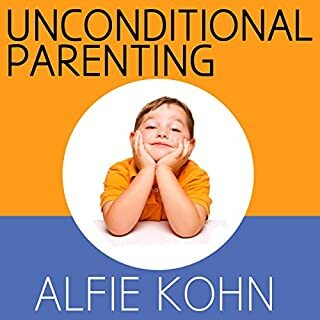 The author provides reasons for why certain parenting behaviour should be carried out or not. Many examples are provided and paediatric research is often referred to. Highly recommended. Particularly to those parents who think they already know it all. You'll be surprised at how dated your parenring beliefs and behaviours are. Unless you’ve become deprived of any reasoning after being lobotomised this book is just not worth the reading. The author even states it’s “philosophy” approach. It’s clearly based on its own personal opinion and not as much on facts and scientific findings. 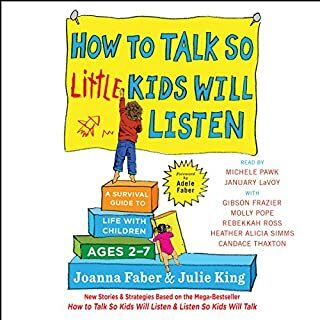 Some points even it even contradicts scientific common knowledge without providing an argument to conflict against and explain the author’s position, for example talking in a high pitch voice to your baby. 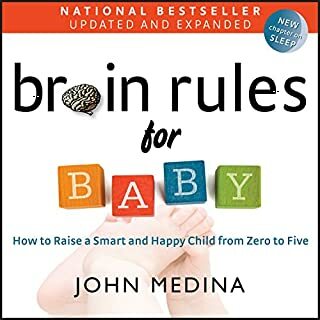 Several books, just to mention a couple like Brain Rules for Babies by John Medina and 12 Rules to Life by Jordan Petersen, refer to the same research in how it is a natural behaviour of parents and the benefits of it for the baby. The present author just states “don’t do it, it’s not natural to you to talk like that” and no extra explanation. I honestly wish I had my money back and the time I’ve spent listening to it. The book is just too basic and superficial, on top of it contradicts common knowledge of scientific community! By the end of it you won’t even stand the voice of the reader too. She talks about putting babies in their own beds and allowing them to cry whilst using your voice to soothe them. Maybe when older but not before 6 months! 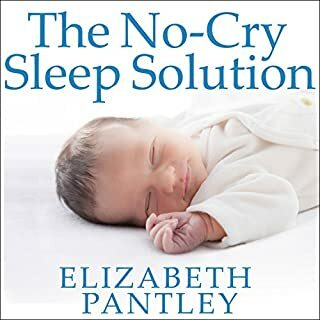 The author does not specify the age of the baby being encouraged to sleep alone. Or the baby being allowed to cry. So I’m unsure as to what she means. If she means for a young baby to be put to bed in her own bed and to be allowed to cry then I strongly disagree.